Britain has enjoyed a scorching summer so far and although the temperature may have dipped over the weekend the mercury looks like hotting up again as we enter August. To some the warmth and glorious sunshine has been amazing. To others it has all become all too much. Whether you work inside or in the great outdoors, there has been no escaping the excessive heat and humidity. However, spare a thought for our brave truck drivers. They will often spend countless hours inside a cab travelling the length and breadth of the country to make sure we receive our food, drink, clothing and luxury items. Here is our essential guide to help all drivers keep their cool behind the wheel. Just because the sun is beaming down it doesn’t mean you should overlook your essential daily pre-trip checks. Make sure there’s enough air in your tyres as under inflated tyres can affect your steering, use more fuel and increase your chances of suffering a blowout. You should also ensure your brakes are efficient. The scorching temperature can cause brake fading and a loss of friction. This happens when brake components can’t absorb any more heat. When it’s hot your body needs to remain hydrated. Make sure you don’t crash and burn in the heat by storing plenty of water in your vehicle. The last thing you want is to be stuck in a long queue of traffic with no or little water or refreshments to keep you hydrated. And it’s not just fluid for your body that you need to consider. Does your vehicle have enough water, bug repellent and screen wash? The sun brings out a variety of little bugs that unfortunately meet their maker on our windscreens. Don’t let them affect your vision. Keep your windscreens clean. A lot of drivers tend to fear driving in the wind, rain and snow. However, getting behind the wheel of a truck when the sun is shining and the heat is unbearable presents its own challenges. The low setting sun can cause drivers to squint as the sun’s rays blast into their faces, making driving conditions hazardous. That’s why we always recommend getting the shades out. Not only will they help you look good, they can also protect your eyes from getting damaged. People who spend a long time behind the wheel are at risk of developing skin cancer as their arms and face are in constant contact with the sun. 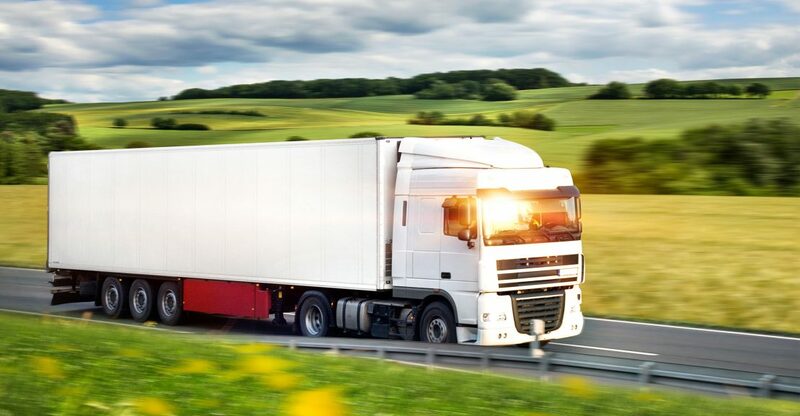 Truck windows cannot keep the dangerous UV rays at bay so we always recommend slapping on some Factor 15 first thing in the morning with regular top-ups during the day. If your vehicle overheats pull over immediately and wait for assistance. Neglecting the warning signs, even for just a few miles, could cause considerable damage to your truck. Your clothing can help cool you down in the heat. By wearing light-coloured clothing made from natural fibres will keep you looking cooler for longer and make your journey slightly more comfortable. When you park up you should always aim to rest in a shaded area. Whether this is under a tree or behind a building, the slight fall in temperature will be most noticeable when you re-enter your vehicle. This measure will also ensure your hands won’t sizzle as soon as you place them on the scorching steering wheel or gear stick. For the very best in used trucks, from tippers to curtainsiders and cranes to ex-council trucks, contact Cromwell Trucks today on 01922 455727.